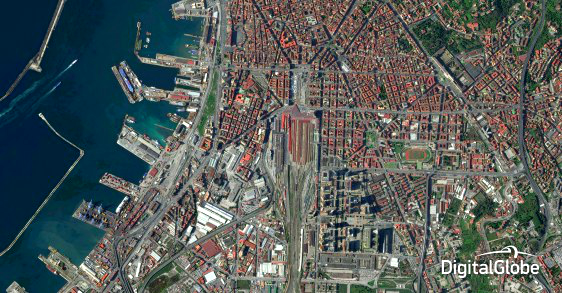 Satellite imagery continues to change the way we see they world. Current, high resolution imagery provides information faster and at a fraction of the cost of traditional imagery sources such as air photos, allowing more informed planning, monitoring, and decision making. Archival imagery allows a look into the past, providing valuable information that may otherwise be unavailable. WH Geomatics is a DigitalGlobe Certified Reseller. The Certified Reseller advantage is detailed knowledge of each satellite and their applications, access to DigitalGlobe’s technical experts and up-to-date training. WH Geomatics can provide satellite imagery for every region of the world plus quote and receive payments in local currencies. Our most significant benefit is our quality control. WH Geomatics commitment to quality control means that we do not sell imagery that does not meet your specifications. What about Radar or other satellite types? WH Geomatics has Radar remote sensing specialists on staff and can assist your in acquiring the data you need. What if you just need current high resolution imagery for planning and engineering? Consider DigitalGlobe’s Basemap product. Need a DEM. DigitalGlobe sells digital elevation models and other services such as building outlines. Imagery is large and not every organization has the tools to manage it (a good reason to consider Basemap) or to extract the information it contains. To assist our customers, WH Geomatics offers Remote Sensing Services and some specialized image compression and hosting services. Need image compression: WH Geomatics offers GeoExpress software. GeoExpress is the industry leader in lossless imagery and lidar compression. Need Hosting: WH Geomatics can help you host your data using ESRI portal on one of our servers. Need Information Not just Imagery: Check out our Environmental Footprint Monitoring Platform. The platform displays the high resolution imagery of your project footprint but it also provides remote sensing derived parameters and change analysis for landcover and a series of environmental indices. For more information, please go to the EFMP site.